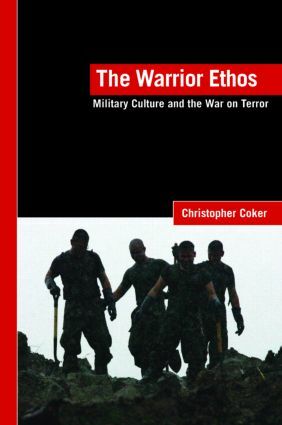 This is the first scholarly book to look at the role of the 'warrior' in modern war, arguing that warriors' actions, and indeed thoughts, are increasingly patrolled and that the modern battlefield is an unforgiving environment in which to discharge their vocation. As war becomes ever more instrumentalized, so its existential dimension is fast being hollowed out. Technology is threatening the agency of the warrior and this volume paints a picture of early twenty-first century warfare, helping to explain why so many aspiring warriors are becoming disenchanted with their profession. Written by a leading thinker on warfare, this book sets out to explain what makes an American Marine a ‘warrior’ and why suicide bombers, or Al Qaeda fighters, do not qualify for this title. This distinction is one of the central features of the current War on Terror – and one that justifies much more extensive discussion than it has so far received. The Warrior Ethos will be of great interest to all students of military history, strategy, military sociology and war studies.